Finally Pandora has announced the launching of the web version and also catching up with other services such as spotify. If you like music then Pandora is here for you , though the world is now mobile , more than 50% of internet users are using mobile device yet we cannot forgone the world of desktop. 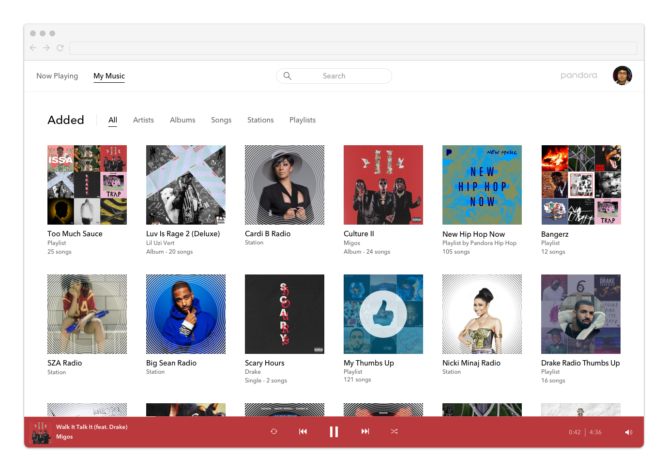 Pandora is one of the music service where you can listen to music and also search for your favorite songs, albums, playlists, or stations, as well as create a curated catalog of your favorite tracks on 'My Music'. Pandora is well-known for creating playlists and stations that are tailored to your taste, so playlist features obviously take a front-and-center roll on the platform users can create one by selecting a couple of songs and then use Pandora's recommendations to add more tracks that match them.